The Gift is the essential culture for the travel to Japan. Especially, Japanese sweets is quite popular among Japan and also even overseas. Japanese traditional culture of foods called Wagashi (the Japanese-style confectionery) is the sweets cooked by using Anko and Mizuame that has natural sweetness. In Fukui, Habutaemochi is the sweets that you must to have. Let’s have a Hokuriku area’s sweets and make your travel more pleasant one. We cannot talk about the travel to Fukui without Habutaemochi. Habutaemochi come from Habutae that means the silk fabric, famous for its smooth texture and glossiness and similar to Habutaemochi. 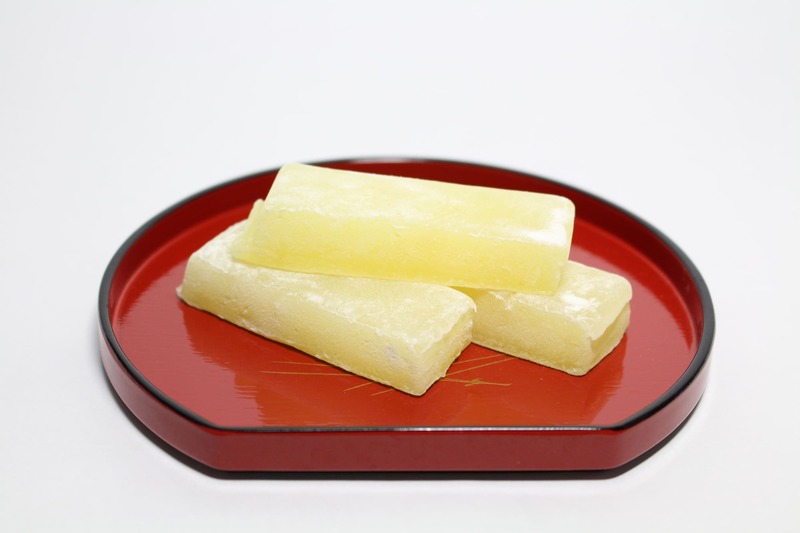 The material of Habutaemochi is just Mochi flour and sugar and maltose syrup. It looks very simple at the first sight, but it has 200 years history. Fukui has had as high as 60% of whole amount of experts since the beginning of 20th century of Japan. Since the materials is only those sugar and maltose syrup and Mochi flour, rice can brings out its own flavor. A lot of gift shops in Fukui set the rice cultivated 100 % in Fukui as the standard material of Habutaemochi. Habutaemochi shows you the Fukui’s original taste of the freshness and sweetness of the rice that raised carefully with great spring nearby the mountains. The Way to Enjoy The Habutayamochi. The good texture point for Habutayamochi is the combination of chewiness and elasticity. So I do not recommend you to put it in the refrigerator same as other Mochi. 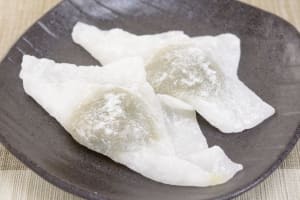 If you could not eat them all at once, keep it at a normal temperature because Mochi starch would start deteriorating in between 0 ～ 10℃. Besides, grill and boil is not recommendable way to enjoy Habutayamochi. Ochazuke is simple and good way to have it. In the summer season, it is also good way that put Habutayamochi in the cold An (bean jam). In addition, putting it between the two slices of hot-cake is also interesting way. It would creat the unique texture. The place to purchase the Habutaemochi. Nakamurakansendo is absolutely the essential shop where we can purchase the Habutayamochi. It is located right close to Fukui station. 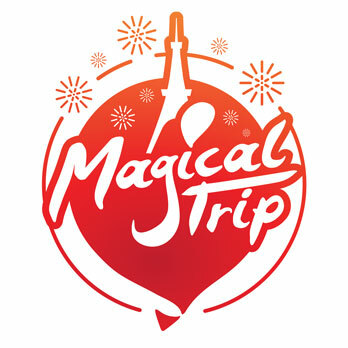 We recommend you to stop by there on your way back home. Several confectioneries that made with great care not to be inferior to Fukui’s great sea foods would welcome you. It has established since 1910. They have gotten the awards of Sweets Exposition in Japan as many as 6 times. Not only Habutayamochi, but also「Echigoyamochi」and「Mizuyoukan」speak the shop. Access : 7 or 8 min by walk from Fukui station.